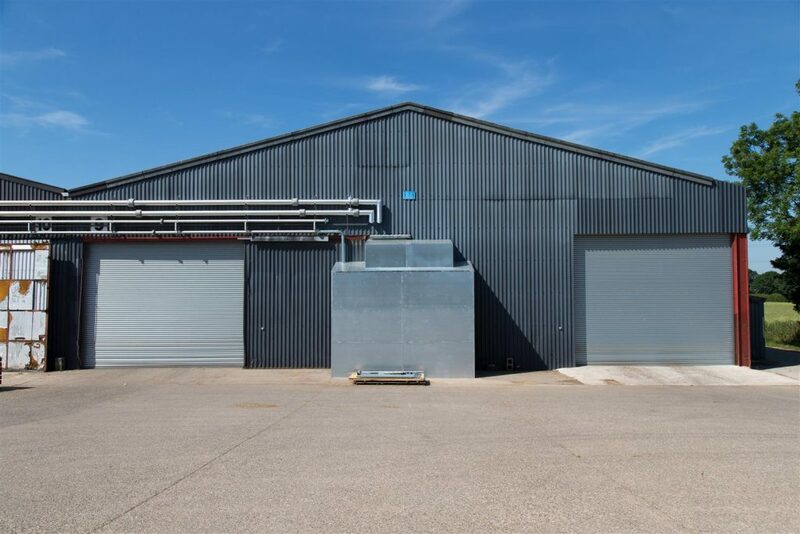 Industrial premises have a unique set of security and safety requirements posed by their isolated locations, valuable contents and high risk of fire. Steelroll manufacture and install a full range of roller shutters which have been designed with industrial use in mind. This product range includes solid (insulated and non-insulated), punched and perforated profiles. 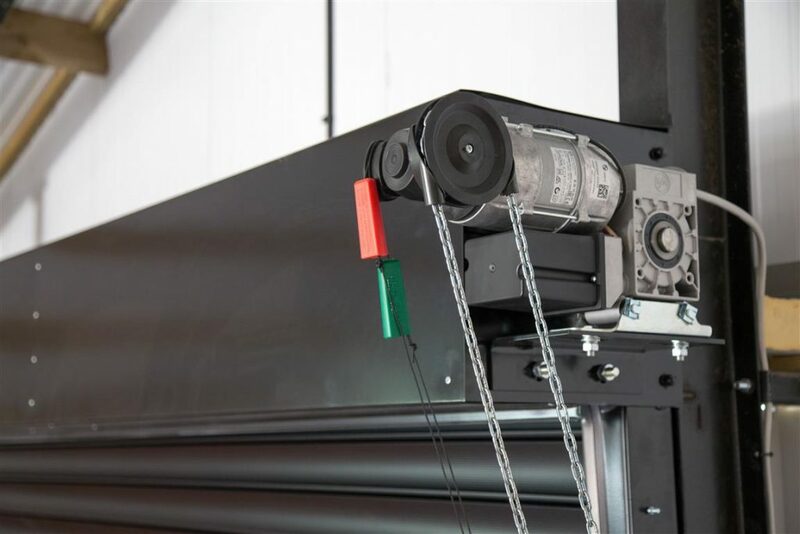 All industrial roller shutters are weather resistant and resilient, with options suitable for heavy duty usage and high wind ratings. All Steelroll shutters are manufactured in the UK and CE marked. Industrial buildings tend to have the largest openings to cover. 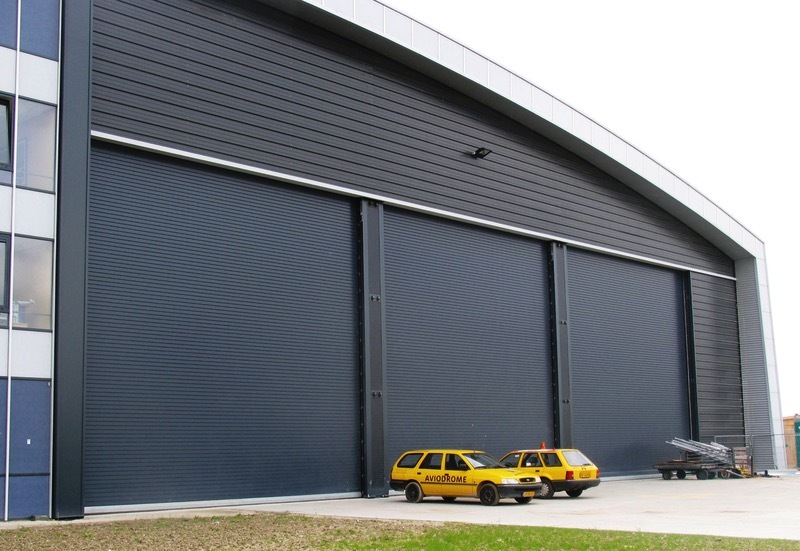 Many of our shutters measure up to 12m wide, and it is possible to design even larger. Supplied by leading automation experts such as Somfy, NRG and GfA, our motor range satisfies all requirements, including high frequency and high speed. 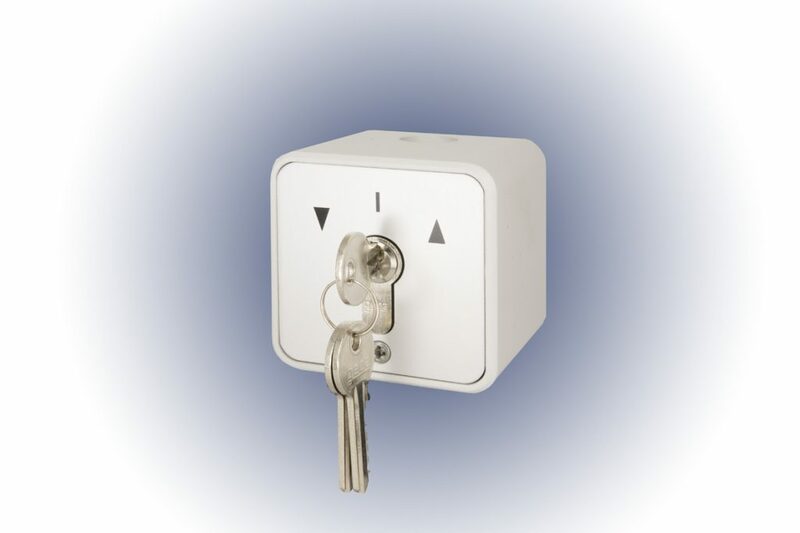 Options for our electric shutters include push button, keypad, mobile phone and remote control operation. Multiple shutters can be grouped for simultaneous operation. Our double-skinned shutters are filled with insulating foam. This works to reduce draughts and noise pollution, as well as improving heat efficiency. Request a vision profile to improve light and air flow. These can be combined with solid profiles as required, with transparent polycarbonate infills available. Manufactured from highest grade materials such as solid galvanised steel, our products can withstand adverse weather conditions and heavy duty usage. 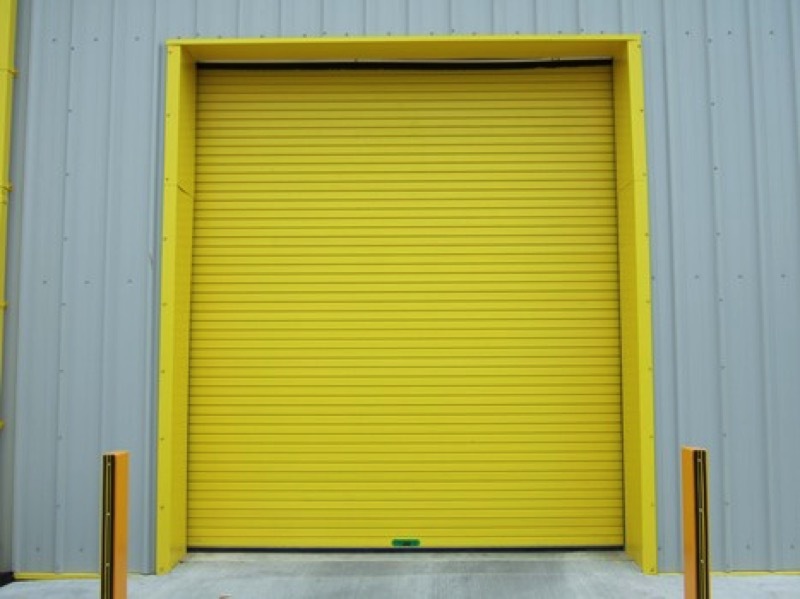 Budget-friendly single skin shutter, commonly installed as an industrial door on warehouses, factories and loading bays. Available as a solid profile (S76) and/or with vision/ventilation openings (V76 and P76). 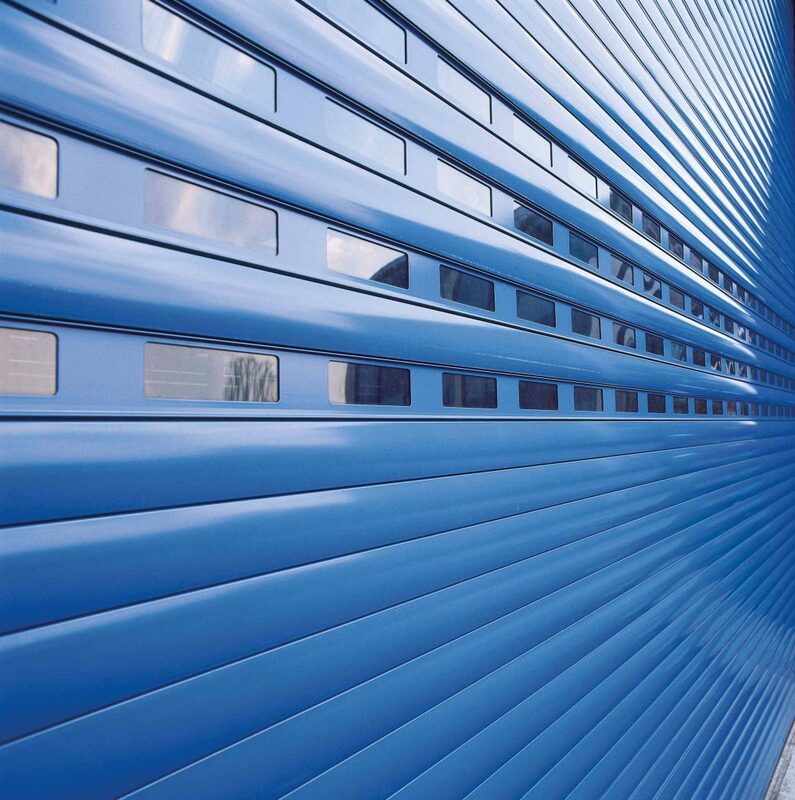 Steel shutters with foam-filled profiles for improved temperature and noise control on industrial buildings. Various slat sizes and security levels are available. Steelroll fire shutters are tested at Exova Warringtonfire under BS EN 1634-1:2008 test conditions and assessed to BS EN 476-22:1987. They are designed to contain fire in particular sections of a building and can be combined with an interface panel to automatically descend in the event of a fire.